How strange to find myself back in Rapid City hardly a year after I last visited the place. 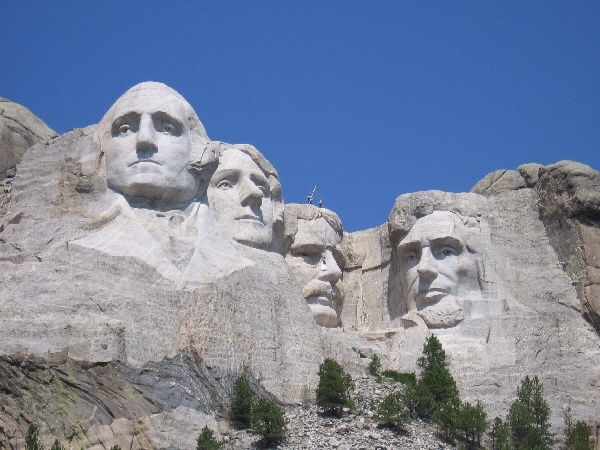 How odd to ascend the steps into the Mount Rushmore Memorial and see again so soon the chiseled faces of dead presidents. Yes, in one of those quirks of fate, here I am again in this remote and rarely visited area of the country, this time on business. Tonight I am spending the last of five nights in Rapid City, South Dakota. I cannot claim to have seen much of Rapid City during my first visit. My wife and me boarded then at a comfortable three star hotel near the interstate but spent most of our time in the Black Hills. I noted then statues of former presidents on the street corners in Rapid City, but had little time to assess the character of the city other than remark on its overwhelming white Anglo Saxon constituency. It’s Wonder Bread land around here. This is certainly not bad in and of itself, just weird when you live in Northern Virginia and cannot go to the store without hearing a half dozen languages. Now, sequestered at least at night at the Alex Johnson Hotel in “downtown” Rapid City, I have a chance for a fairer assessment of the city. I put “downtown” in quotes because the ten-story Alex Johnson Hotel is by far the city’s tallest downtown structure, for human habitation anyhow, in this city of sixty thousand or so souls. At least Rapid City has a downtown area, with most of the buildings but three stories high. At least there are few boarded up businesses in Rapid City, which was not true of Salt Lake City when I visited it last year. The Dakotas are fairing reasonably well in the economic downturn. While there is no sign of vigorous growth, at least there are few signs of the more prevalent economic decline found elsewhere across the country. There is plenty of free street and off-street parking here in downtown Rapid City and nary a parking meter in sight. The businesses downtown may not draw hordes of people, but the rents must be cheap enough where it doesn’t matter that much. There is an historic old movie theater across the street from the hotel, as well as a comic book store and a salon called (no kidding) “The Best Little Hairhouse” (if only it were in Texas). Within a few blocks of the hotel there are also train tracks and an imposing Aby’s Feed & Seed. So those of you thinking of moving to Rapid City need not worry about a city that is overly industrialized. 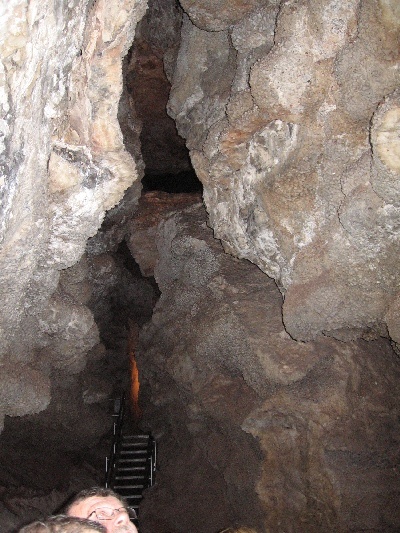 For tourists, Rapid City is a conduit to the Black Hills and many wonderful natural attractions that lie in all directions of Rapid City. As for Rapid City itself as a tourist destination: eh, not so much, unless you like to see statues of presidents and other notables on street corners. For the residents, the city is wholesome and clean, which certainly can’t be said about most cities its size, as well as billboard friendly. I have not found one single homeless person here in downtown Rapid City. Instead, this being a deeply red state, I find lots of pickup trucks, guys wearing ten gallon hats and a really crappy local paper. There are hints of coastal values. You can find Starbucks here, although Seattle’s Best seems to have a bigger lock on the local coffee business. There are a few trendy fashion outlets but only one really nice hotel (a Radisson). As for the Alex Johnson Hotel, which saw its first guest in 1928, it is comparatively old and quaint and recently underwent an expensive renovation. This makes it kind of historic for an area without a long history. The restoration aimed to maintain the hotel’s original character. My bed is certainly comfortable (and rumors of bedbugs have proven false) but in retaining much of its character, it still feels more like a two and a half star hotel rather than a three or four star hotel. Buffalo heads on the lobby wall and a Native American themed chandelier can be found in the lobby. My room has character and quirks. The original tub and toilet have been retained. Chips on the toilet bowl have been epoxyed back into place. The tub comes with two sets of faucets, the lower one if you want a bath, the upper one for a shower. The faucets also turn in peculiar directions. I am used to hotel doors shutting themselves, but mine does not. Opening the window can cost you $30. The walls must be original, because for three nights my neighbors had noisy parties that would have hardly been noticeable at most other hotels. Only earplugs and keeping the air conditioning fan on all night allowed me to get any sleep. The elevators are also showing their age: ascending slowly and sometimes jerkily, and pausing for an inordinately long period before shutting. On the plus side, I’ve enjoyed some fabulous sunrises and I could not ask for a better view of the Aby’s Feed & Seed. And there is a Seattle’s Best in the lobby. There is also pretty good dining to be found here in downtown Rapid City. Two thumbs up for the fine dining at the Firehouse Brewing Company around the corner, if you don’t mind paying thirty to forty dollars for a really good meal (with dessert and drinks). You can also find more plebian fare at Sanford’s Grub and Pub that is doubtlessly themed on the 1970’s TV show Sanford and Son. The restaurant comes complete with enormous and very reasonably priced meals, friendly waiters, wheel rims as part of the decorating motif and various garage sale junk on the walls. If you want tasty and greasy food for not much money, Sanford’s is your dining choice in Rapid City. Of course, there are plenty of places to dine in Rapid City that specialize in grease and easily digested carbohydrate entrees, including a place on the city’s outskirts where you can have all the pancakes you can eat for five dollars. 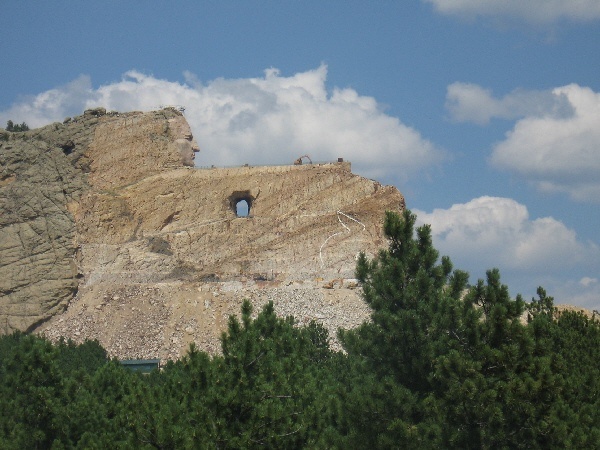 The Black Hills hug the city’s southern and western sides, but there are lovely buttes to be seen in any direction. The Black Hills are a misnomer, too small to be hills, but still puny compared to the Rocky Mountains a couple hundred miles to the west. Still, having spent Monday before my meeting with friends in the Black Hills, I found even more reasons to overlook Rapid City’s conservative values and mediocre newspaper and think of it as an eclectic retirement destination. A group of us arose early on Monday to witness an annual buffalo roundup, which was fun but somewhat anticlimactic, as there were no thundering herds of bison. Rather we watched a couple hundred bison moving slowly at the insistence of a few dozen cowboys and their 21st century equivalents, men in SUVs thundering across the treeless hills of Custer State Park. 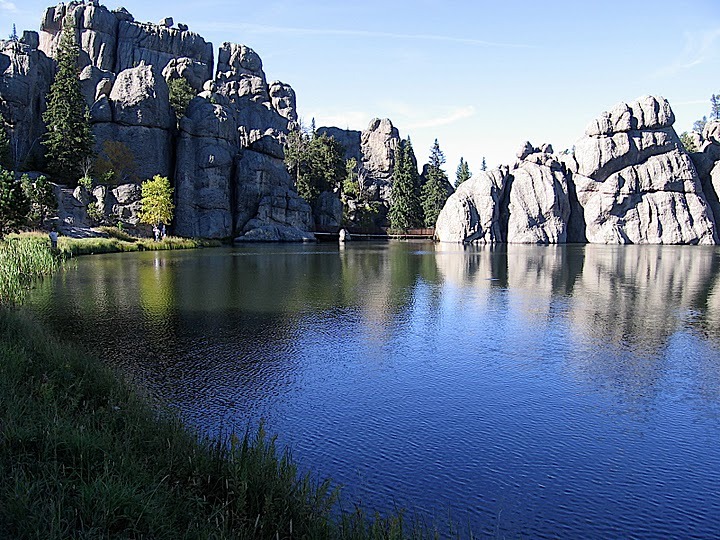 What was worth the pre-dawn hassle of getting up to see a buffalo roundup was the enchanting, beautiful, must-be-seen Sylvan Lake, high up in the Black Hills we visited later in the day. The dam on one end makes the lake artificial, but on a temperate late September day with blue skies and light breezes, the lake (along with some rock crevices) proved to be deeply satisfying to my jetlagged eyes. Until Wednesday, the weather was surreally warm during the day, but it has cooled off a bit. This is in contrast to the Mid Atlantic, which has been drowning in rain and cool weather during my absence. With work behind me, I look forward to returning to the greener and cooler East tomorrow.